Cambridge Audio Azur 650R review | What Hi-Fi? 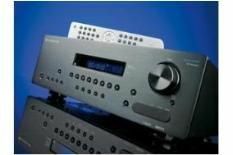 Cambridge Audio's forays into the turbulent waters of the mid-priced market have been met with varying degrees of success, but the company is showing ambition and bravery in equal measure with the Azur 650R. In spec terms, the Cambridge is playing the pragmatism card pretty strongly. A lack of video upscaling is no great loss, as any source machine or display worth its salt will be happy to force a 1080p image from the lowliest of inputs, but a total of just three HDMI inputs and an absence of networking ability might cause a quizzical eyebrow to be cocked. Cambridge has clearly decided to nail its colours to the mast of sound quality rather than out-and-out convenience – which is probably for the best, considering the remote is inadequate for a £1000 product, the on-screen menus are no great shakes and build quality is pretty ordinary. Stripping the DTS-HD Master Audio soundtrack to Fantastic Mr. Fox from an HDMI input while sending on the picture to a display, the Cambridge sounds every one of its 100W per channel. It's a brisk, confident sound the 650R is shooting for, and when the going gets hectic there's an enjoyably brash quality to its presentation. Low frequencies are substantial and expressive, the midrange crackles with detail and the top of the frequency range is no shrinking violet, either. If it's sonic fireworks you crave, the 650R shapes up nicely. However, there's an unwelcome relentlessness to this Cambridge amp. Treble sounds need little encouragement to harden unattractively, and the film's many wordy moments highlight the 650R's unsubtle nature. Such characteristics are carried over to how the 650R reproduces music. Ride's truly epic Leave Them All Behind initially sounds breathlessly exciting, but by the time the song ends the amp's brusque, stimulation-at-all-costs signature has swung decisively from engaging to tiring. There's little in life more wearying than being ordered to enjoy yourself at all times, and the Cambridge 650R is one of those hosts whose smile of welcome has become a manic rictus grin by the end of the evening.